Saffron Tree: In anticipation of... CROCUS 2011! In anticipation of... CROCUS 2011! It's that time of year again when there's a slight nip in the air, a crisp freshness you can't ignore, anticipation builds up and there's a festive feeling all around. Strings of fairy lights go up, only to stay there a while, because Dussehra may be over but Diwali is right around the corner and X'mas and New Year are almost here. But for us here at Saffron Tree, and yes, for our readers too there's an extra reason to celebrate. 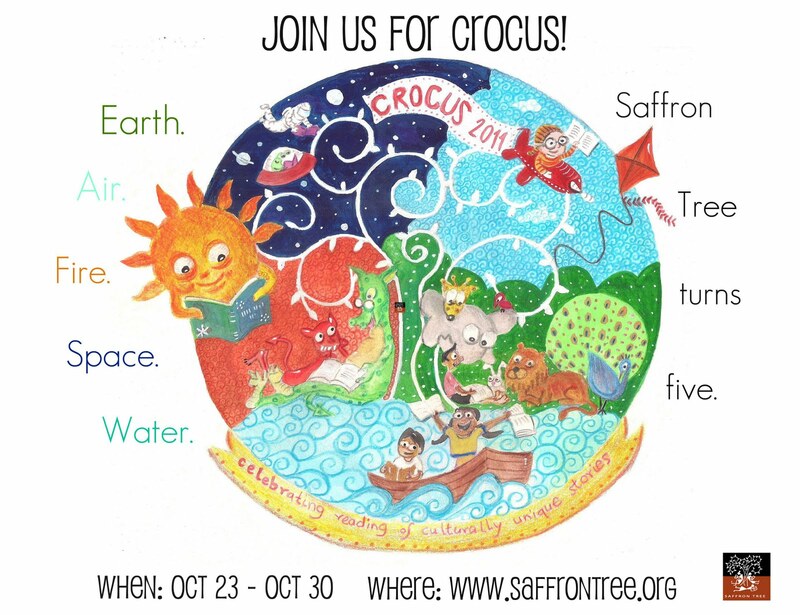 That's right, it's time for our annual festival, CROCUS 2011. 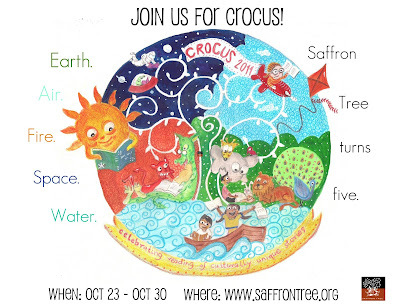 Saffron Tree turns five this year. Five. It has a nice ring to it. Mainly because five is an important number in many traditions. There is of course the ancient pentagram or the five pointed star, incidentally, dating back to the Vedas too, as a symbol of man, the five wounds of Christ, the five times a devout Muslim is called to prayer, the five symbols of Sikhism and not so sacred but oh so important, the five fingers on a hand. We at Saffron Tree however, decided to narrow our focus to Aristotle's five classical elements, namely, water, fire, earth, air and ether. As is usual, we bring you a veritable bonanza. Reviews, art and craft, our very popular Crocusword and interviews galore, of arborists, archeologists, environmentalists and more. Even as I type this I wonder if I've given you too much of a peek. Perhaps I have. So I'm going to stop here and leave you thirsting for more. 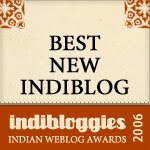 What I will share with you, is our lovely banner, designed by the very talented Lavanya Karthik. Feast your eyes on it, folks and brace yourself for the smorgasbord ahead. As ever, spread the joy, share the beauty of the written word and tell the world that CROCUS 2011, is almost here. Waiting wide-eyed and wide-smiled for the many delights that are to come! ;) And now we deliver! Happy 5th Anniversary from all of us at PaperTigers.org!! Looking forward to celebrating with you next week at Crocus! We shared about Crocus 2011 on our blog today. Just to reiterate what Corinne has already sad - Happy Birthday - we're looking forward to the bonanza - and Lavanya's banner is gorgeous. PS I did mean said - sad is the last thing on our minds at the moment! Sorry about the typo. Gearing up for the festivities! Well opened MM! Can't wait for next week!